The committee has a NEW incentive to help fill our teacher’s bookshelves and promote our children to read! For each book that is purchased at the fair from your child’s Teacher Wish List/Bin, the purchasing family will be given a raffle ticket for a chance towards winning the basket shown below that filled with a selection of kid-friendly school supply products and Scholastic books, a $100 value. A win-win! 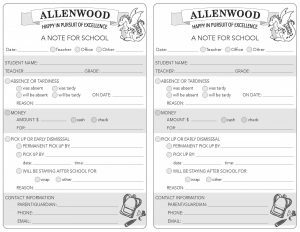 Week of 10/30 at Allenwood! This past Wednesday, Allenwood had a new Principal for the Day! 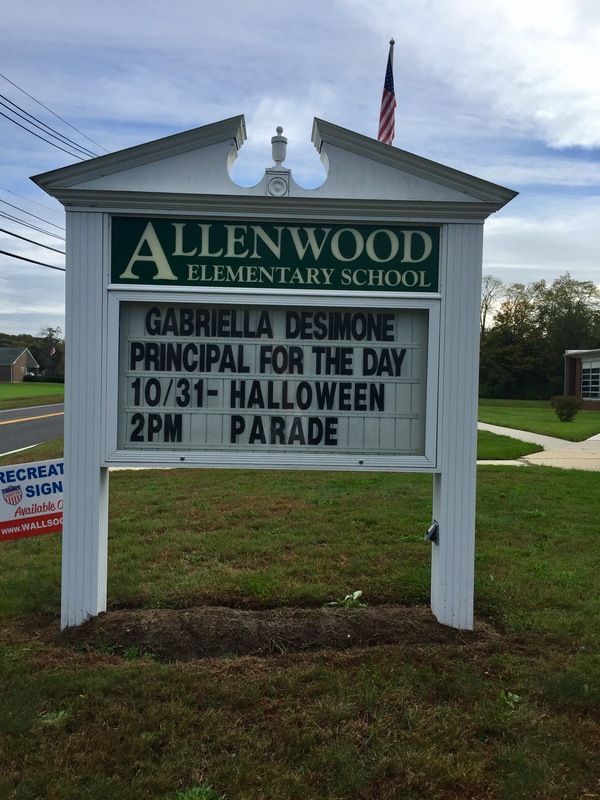 Congratulations to our 3rd grader, Gabriella DeSimone on being Allenwood Principal for the Day! The DeSimone Family was the highest bidder for the experience at the Silent Auction during Dragonfest earlier this month. Friday was a very busy day at Allenwood! We had a great Spirit Day Assembly where every Allenwood student & class showered Dr. O’Connell with handmade cards for National Principals Month to say “thank you” to and to share all the great things that our students think Dr. O’Connell does for Allenwood! Thank you so much to everyone who supported the BYOP/Trunk or Treat on Friday night. It was a huge success and we thank every student, parent, teacher, friend, ghost, witch, and goblin who came out to celebrate!! It was the perfect night for some “trunk-or-treating”, dancing in the lot, and enjoying a “yummy mummy” snack from the bake sale while waiting to go on a hayride!! For everyone that donated candy and allergy friendly goodies, it was greatly appreciated (and needed) as our event was well attended! The special light show projectors that lit up the event were set up and donated to the PTG from Mike Koblan. Thank you to our volunteers that baked and donated the Halloween goodies and to Mrs. Piermattei and our Bake Sale Chairperson Pieper Waitzel for working our Bake Sale! Thank you to Dr. O’Connell and our fabulous custodial staff for all of their hard work! Congratulations to all our trophy winners!! Thank you again to everyone who worked together to make this event a “howling” success!! The Fourth Grade Staff is organizing a Thanksgiving Food Drive! All cans and non-perishable items can be dropped off in the Main Office November 1st-17th. 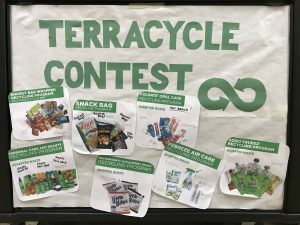 TerraCycle Contest going through May 1, 2018! 1. Collect at home and make sure teacher name is marked on the bag. 2. Send labeled bag into school in a bag with kids. 3. Place in contest bin that is located between Library and Gym. In the mood to clean out your closets? We can help! 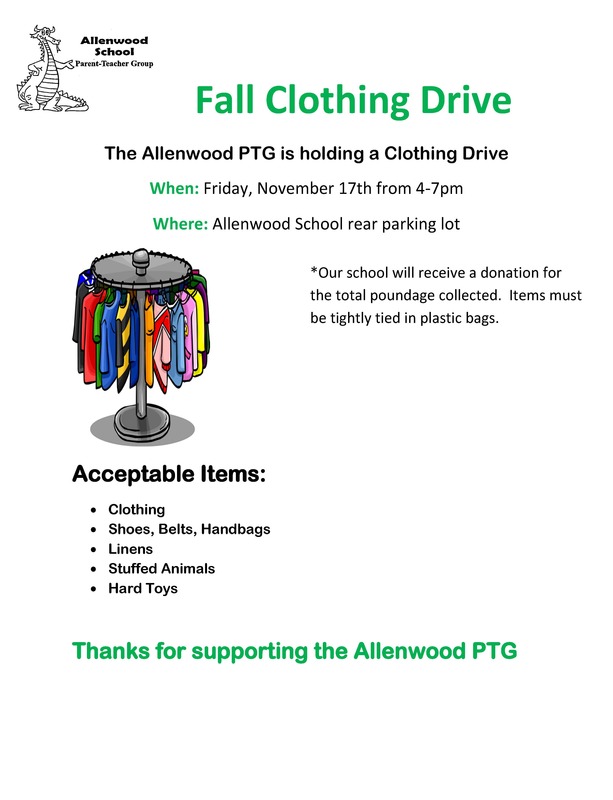 A clothing drive has been scheduled for November 17. Details can be found here. 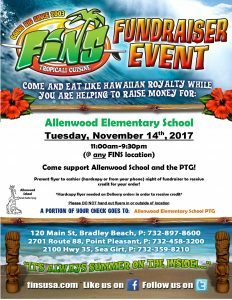 Please read on to learn about what is happening this week at Allenwood! We hope you have a wonderful week and a very Happy Halloween!! 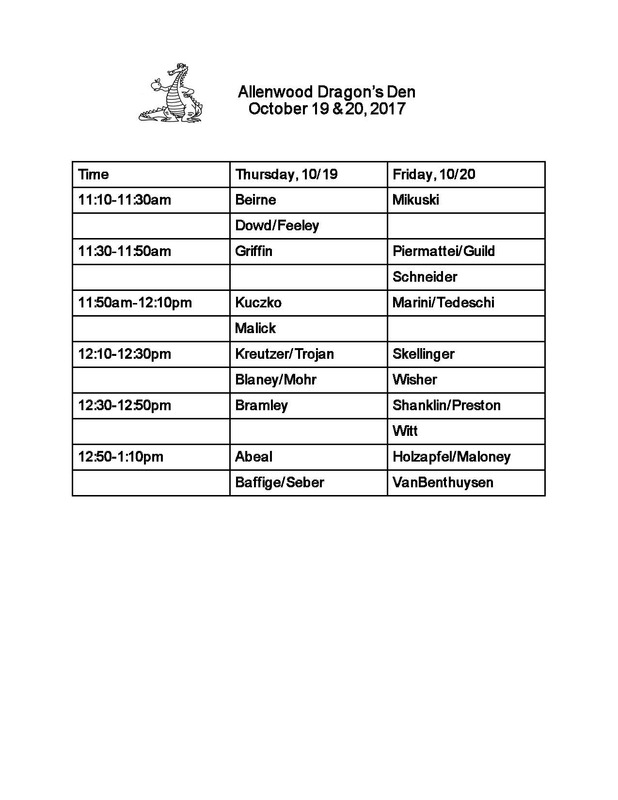 Monday kicks off our Fall Book Fair!! For those parents wishing to shop with their child, the Book Fair will be open on Thursday night from 5-8 in the gym. Cash, checks and credit cards are accepted. The committee has a NEW incentive to help fill our teacher’s bookshelves and promote our children to read. 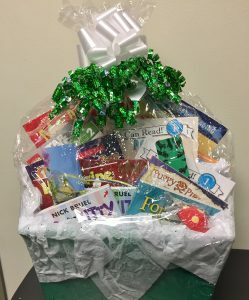 For each book that is purchased at the fair from your child’s Teacher Wish List/Bin, the purchasing family will be given a raffle ticket for a chance towards winning the basket shown below that filled with a selection of kid-friendly school supply products and Scholastic books, a $100 value. A win-win! DON’T FORGET TO SEND YOUR STUDENT IN WITH HALLOWEEN COSTUME! 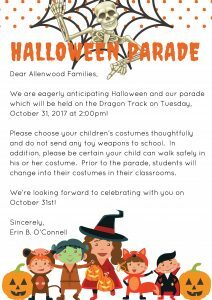 Tuesday is the Annual Halloween Parade at 2:00 p.m. All are welcome to gather outside around the track to watch the Allenwood Parade. 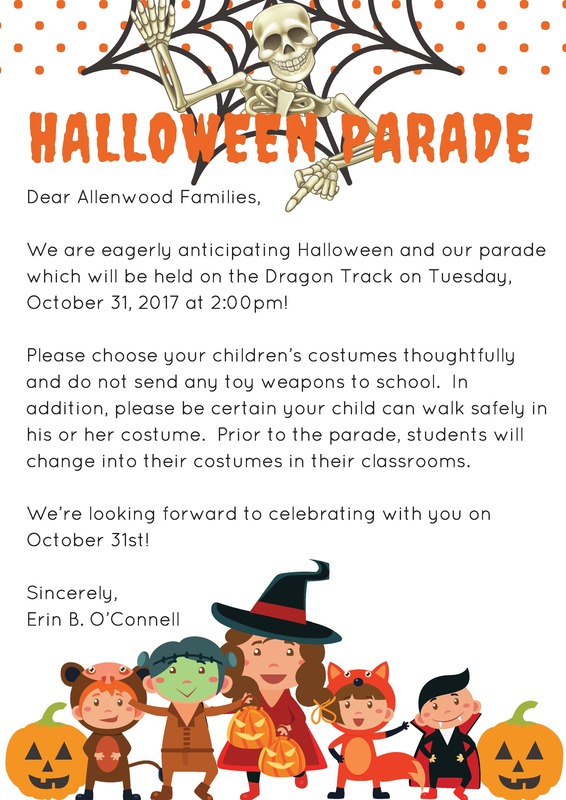 The children will walk around the track in costume two times and then will go back inside school to finish celebrating the holiday. Class Parties will be held throughout the day. The next dining out initiative will be Tuesday, November 14th at FINS! 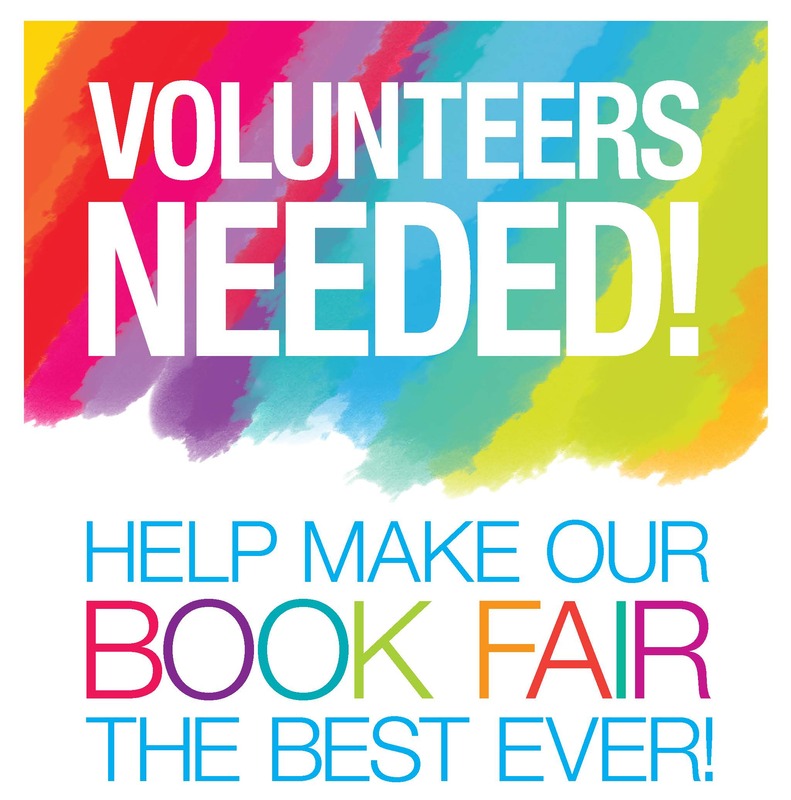 We especially NEED HELP for SETUP TODAY, 10/27 at 3 PM in the gym! 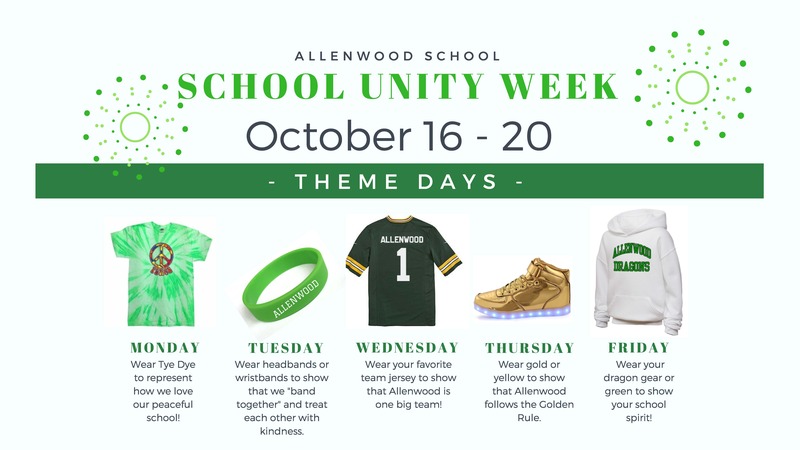 Be sure to wear your green and white or Allenwood spirit wear! Allenwood Principal for the Day! Congratulations to Gabriella DeSimone on being Allenwood Principal for the Day! The DeSimone Family was the highest bidder for the experience at the Silent Auction during Dragonfest earlier this month. Volunteers Needed for BYOP/Trunk or Treat! We need volunteers to help this Friday at BYOP/Trunk or Treat! If you can help out at the event, please sign up here. Contact Megan Kirby McCay (mmccay@awptg.org) with any questions. It is 3 days until BYOP and the ghosts and goblins are getting ready for an amazing night! Wristbands can be purchased at the entrance for $15 each. Festivities begin at 5:30 p.m and includes Pumpkin Lighting, Trunk or Treating, Hayride, Spooky Bake Sale and Dance Area with DJ! Looking ahead, the weather looks to be a fabulous October night around 50 degrees and clear skies. Costume Prizes for Best Overall, Most Creative, Spookiest, Prettiest and Funniest. Prizes for Best Overall Trunk, Spookiest Trunk, and Most Bootiful Trunk. Trunk entries automatically entered to win a Leap Frog Tablet! 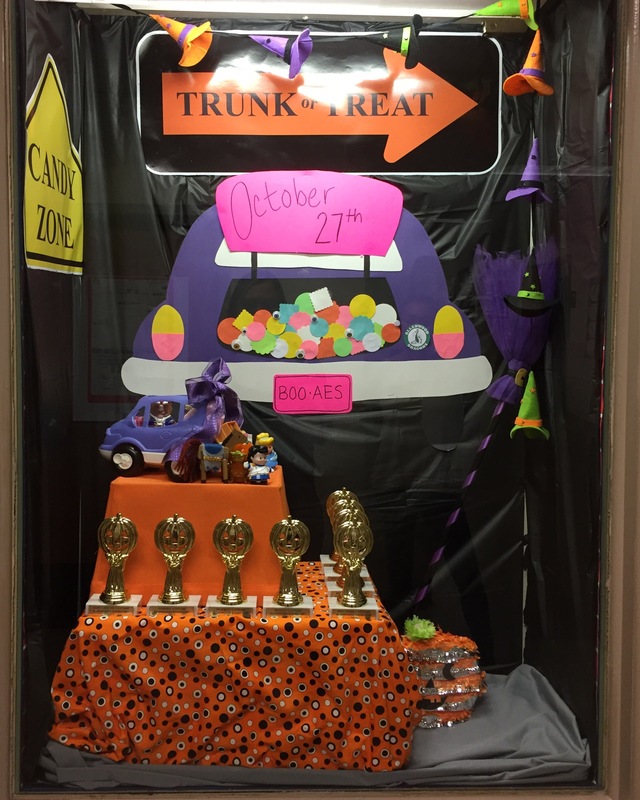 We are sure to have some creative trunks and be sure to visit our Fa”boo”lous Teachers from 1st, 3rd, 4th & 5th grades that have entered trunks for the event! All judging to be done by an Allenwood Elementary School Celebrity! We are accepting candy donations! If you wish to donate candy to the cause, a donation box has been placed in the office. All donations are greatly appreciated! As to our 180 pre-registered “Trunk-or-Treaters”, wristbands will be put in teacher mailboxes on Wednesday to come home with the student that was indicated on the form! Please check your child’s backpack to make sure they make it home. Hope to see everyone at BYOP!! Remember your costume and carved pumpkin! Let’s fill up every step with an amazing carved creation!! 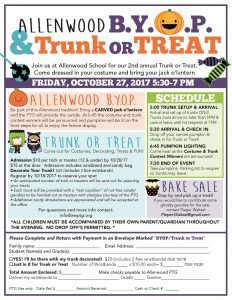 Week of 10/23 at Allenwood! Hello Allenwood Families! Hope everyone had some time to enjoy the beautiful weather this weekend! Thank you to everyone who supported our Dining Out Initiative for October at Bubbakoo Burrito’s. 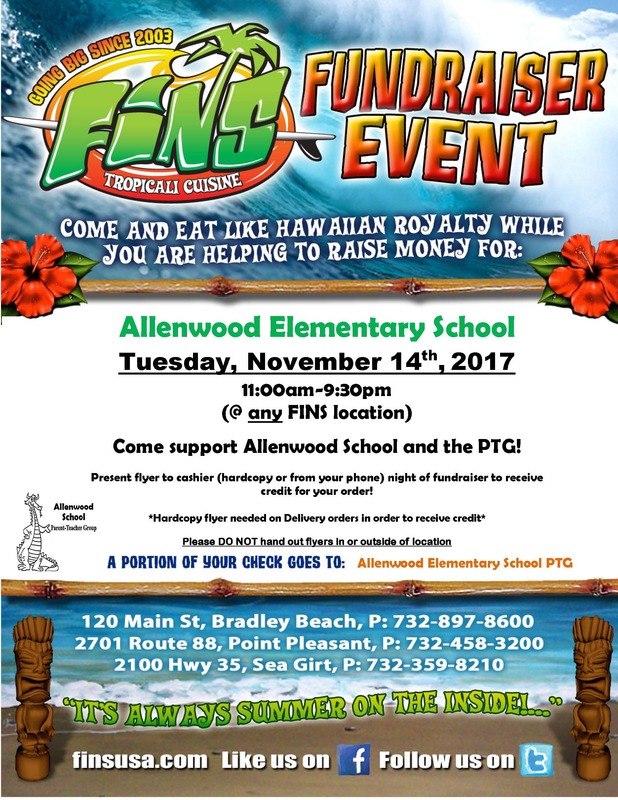 Next month, FINS on November 14th. Thank you to Courtney Koblan for organizing. Thank you to everyone who supported our Fall Yankee Candle fundraiser. It was a huge success and we could not have done it without your support and the dedication of Megan McCay, who graciously coordinated the fundraiser. Pick up is on November 17th. Still need to order? Yankee Candle Orders can be placed until December 31 online and shipped directly to the buyers house. Please include group number: 990018512 when placing your order. Thank you all for your support! This week our Dragon’s Den volunteers helped our children while they shopped at our school store. 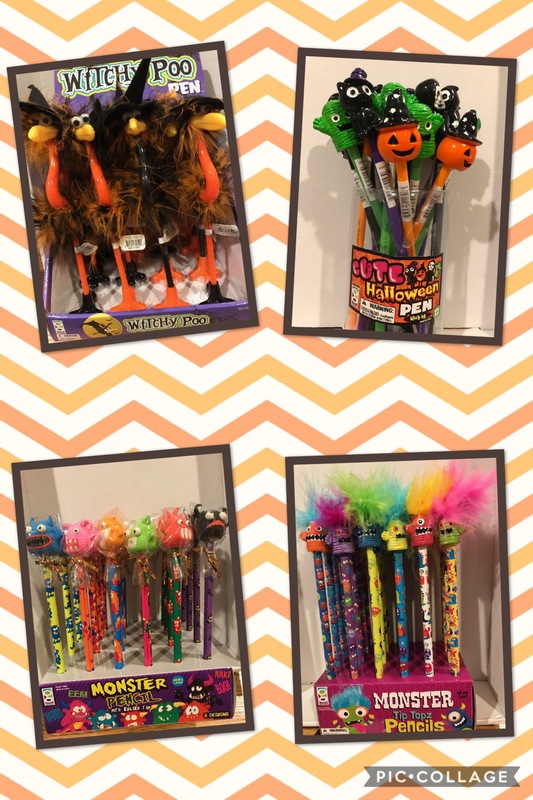 Thank you to our volunteers and to Andrea Nolfi and Anna White for making shopping so festive with all the Halloween goodies! 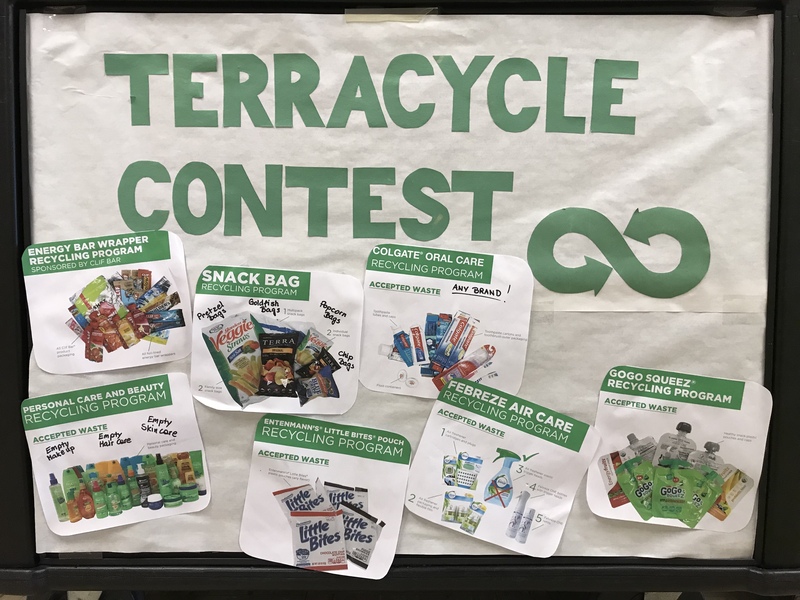 More info on TerraCycle here. 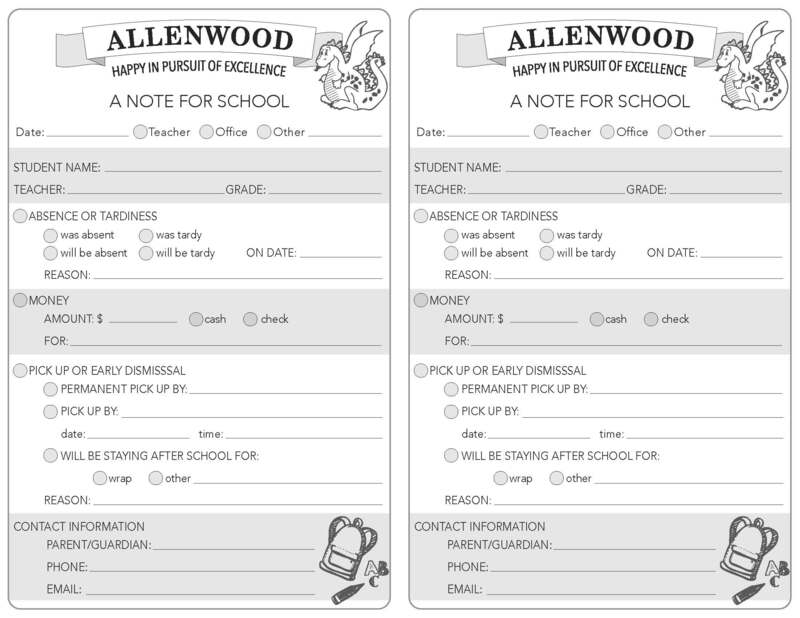 Just in case you missed it: Last week the Board shared the new printable school notes that were made possible by the creativity and willingness of one of our Allenwood parents, Laura Fallon. A HUGE thank you for creating these school notes for the PTG! The printable was created to make sending notifications into school and to our children’s teachers quick, cute and hassle-free. These notes were designed to print on standard U.S. letterhead (8.5×11 paper). Just download, save, print, cut the sheet in half and write in your details! Keep a stack of these notes printed and ready for use! Download here. Please read on to learn about what is happening this week at Allenwood! Be sure to wear your green and white or spirit wear! If you can help set up, please meet us at 3pm in the gym. It is 5 days until BYOP and the ghosts and goblins are getting ready for an amazing night! Wristbands can be purchased at the entrance for $15 each. Festivities begin at 5:30 p.m.
Prizes for Best Overall Trunk, Spookiest Trunk, and Most Bootiful Trunk. Trunk entries automatically entered to win a Leap Frog Tablet! For those of you who are our festive “Trunkers”-stay tuned for a detailed email. 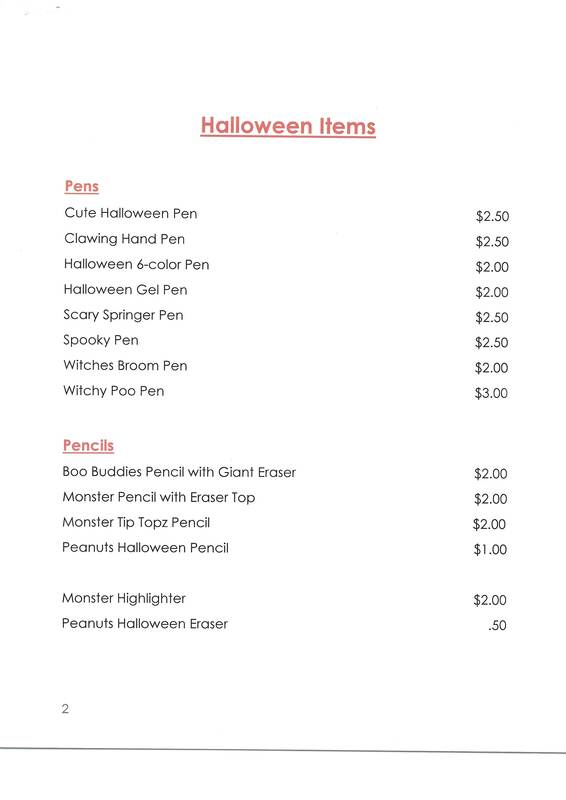 As to our pre-registered “Trunk-or-Treaters”, wristbands will be put in teacher mailboxes on Tuesday and Wednesday to come home with the student that was indicated on the form! Please check your child’s backpack to make sure they make it home. Friday is the last day to pre-register! Check out the trophies for Costume Contests and Trunk Contests! 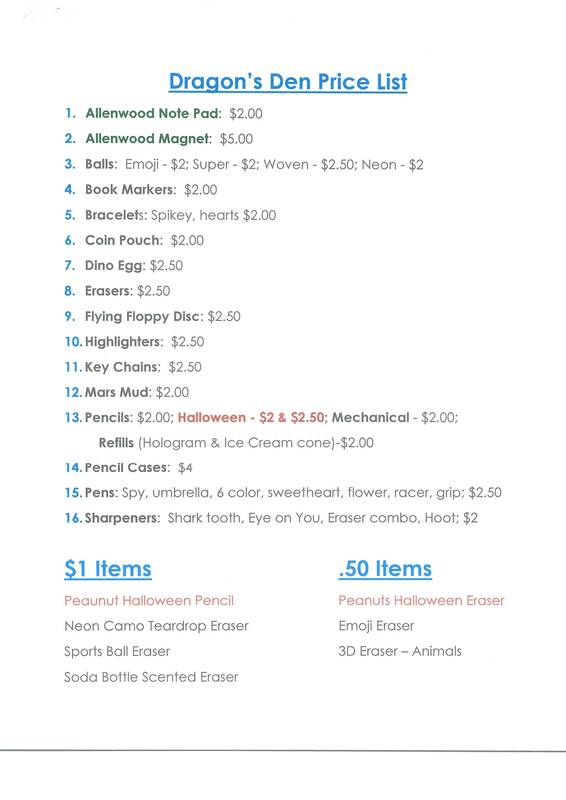 Dragon’s Den School Store OPEN Thursday & Friday! Students will be shopping outside the cafeteria during recess on the day indicated below. If you would like your child to participate, please send your child in with a few dollars in an envelope with their name and Dragon’s Den labeled on the outside! 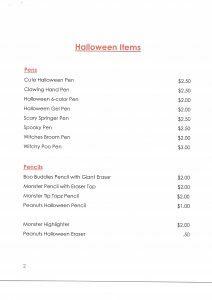 New Halloween themed school supplies will be offered! We are learning to navigate through our new PTG website and REALLY want to make sure our Allenwood families receive the latest PTG information including events! Please bear with us! 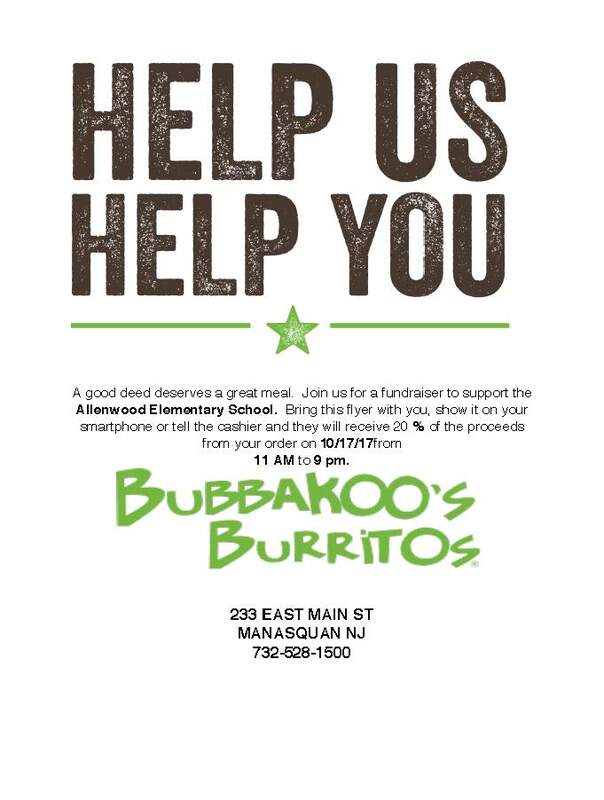 Tuesday have dinner, lunch or both at Bubbakoo’s and be sure to show the flyer and Allenwood will receive 20% of the proceeds! Manasquan location, 11am-9pm. Register for BYOP/Trunk or Treat! BYOP (Bring Your Own Pumpkin)/Trunk or Treat Pre-registration Deadline this Friday, October 20th! $10.00 per child. 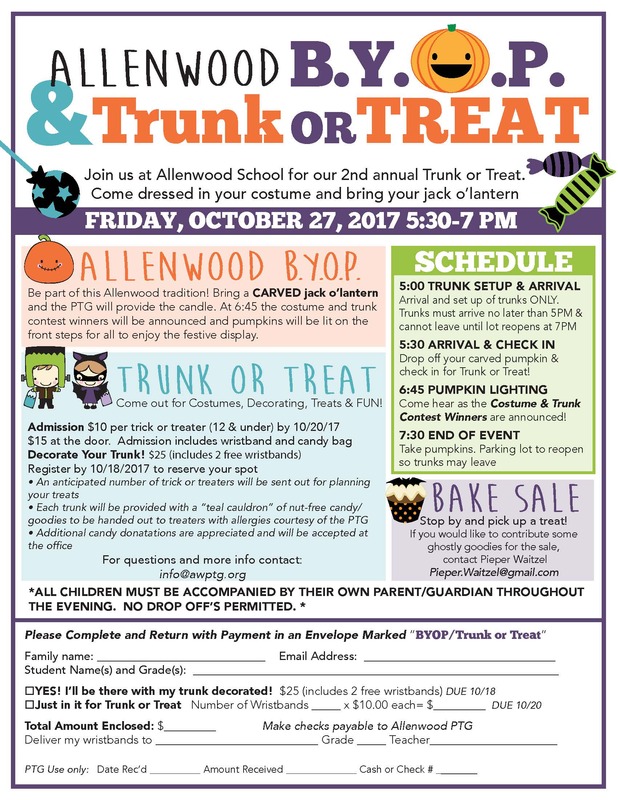 Join us at Allenwood School for our 2nd annual Trunk or Treat! Come dressed in your costume and bring your CARVED jack o’ lantern! DJ Dance Party, Hayride, Bake Sale, Trunk or Treating and FUN! See flyer below for more details. Download flyer here. This week our Square1 Art and Art Appreciation volunteers worked with our students getting our holiday themed masterpieces started. Thank you all of our volunteers and Susan DeSimone for heading up one of Allenwood’s favorite fundraisers! We also had a wonderful turnout of members at the October PTG meeting and our Recording Secretary, Meghan Lakeland, was sworn in. We would also like to thank the Forcellati Family for the gorgeous replanting of our Main Entrance containers. 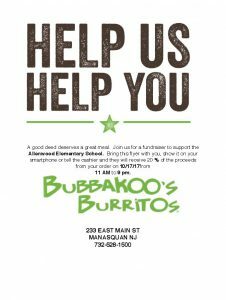 Tuesday have dinner, lunch or both at Bubbakoo’s and be sure to show the flyer and Allenwood will recieve 20% of the proceeds! Manasquan location, 11am-9pm. 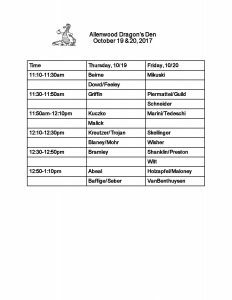 See schedule for which day your child’s class will shop during recess! 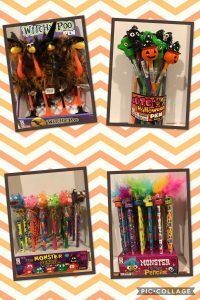 Lots of new Halloween surprises! 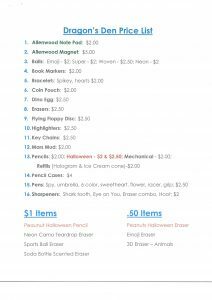 Items range from $1-$5. If you would like your child to participate, please make sure to send a few dollars in an envelope with their name and Dragon’s Den on the outside. 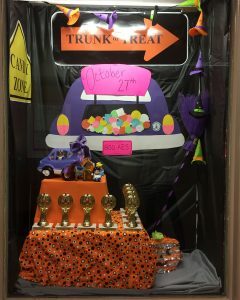 10/18-Trunk Sign Up-Due Date for Trunk or Treat, includes 2 free wristbands! 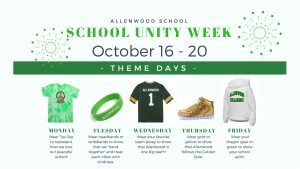 Allenwood is celebrating School Unity Week from October 16-20! Gather your items together this weekend for a less stressful week ahead! This printable was created to make sending notifications into school and to our children’s teachers quick, cute and hassle-free. These notes were designed to print on standard U.S. letterhead (8.5×11 paper). Just download, save, print, cut the sheet in half and write in your details! Keep a stack of these notes printed and ready for use! A huge THANK YOU to Laura Fallon for her creativity and willingness to create these school notes for the PTG!